Today we begin a new weekly feature, profiling one of the more than 40 field offices and special units within the Division of Parole and Probation. Each week, we’ll salute the hard-working agents, Drinking Driver Program monitors, and other diligent staff who hold down the fort in DPP offices from Oakland to Ocean City, Preston St. to Prince Frederick, and Gay St. to Gaithersburg. TOWSON, MD — Their office is closer to Pittsburgh than to Baltimore. In fact, both West Virginia and Pennsylvania are only a short drive away. Cumberland, which to many Marylanders living “downstate” seems like a million miles away, is hardly around the corner either—more than an hour to the east. 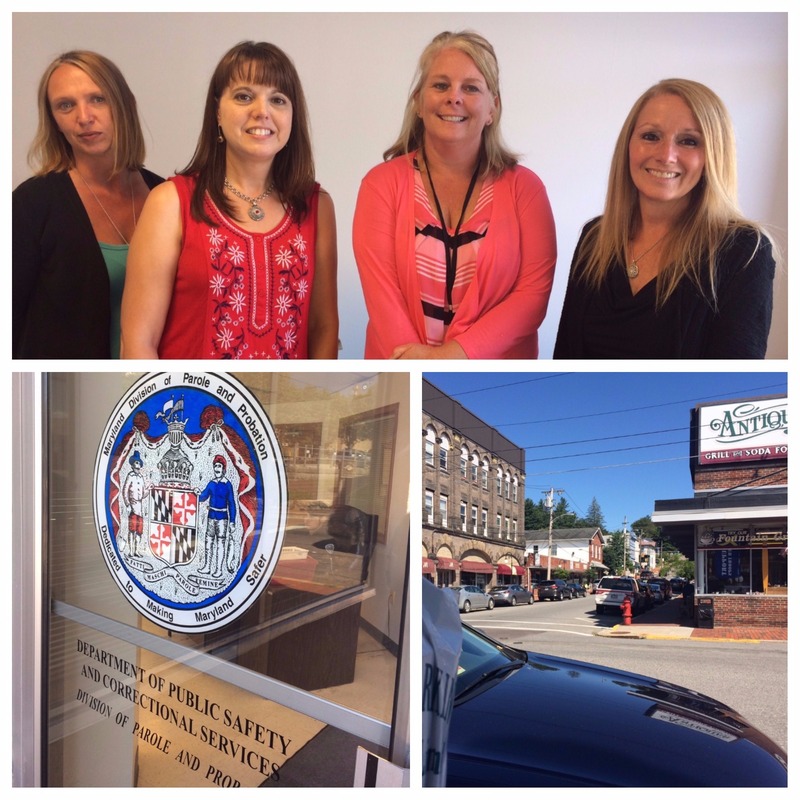 We’re talking about Oakland, Maryland, the county seat of Garrett County, where four hardy souls work in the Parole and Probation field office, handling the same number and types of cases most of their co-workers in the 40+ other field offices do. It’s by far the most remote Parole and Probation outpost in the state, more rural even than Snow Hill or Leonardtown, and more than twice as far from the state capital in Annapolis than Baltimore is from Philadelphia. Deep Creek Lake isn’t far up Route 219. The loudest noise comes from the long coal trains rumbling through town multiple times a day headed for Baltimore or Grafton, West Virginia. The winters are cold and the location is way off the beaten path. But the ladies soldier on, and do a fantastic job helping turning around the lives of parolees and probationers by helping them get treatment and jobs. 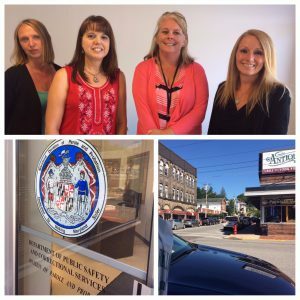 In addition to the four full-timers, an agent and a Cumberland-based Drinking Driver Monitor Program monitor both pitch in, and Field Supervisor Kerrie Margroff herself makes frequent trips across the mountains to Cumberland. They’re tough people, these Garrett County ladies, accustomed to harsh winters and resigned to a lack of regular contact with many of the state’s movers and shakers. But day in and day out, they still deal with the tough work that makes Parole and Probation a challenging career – no matter which office you call home. Public Safety salutes the employees of the Oakland Field Office.